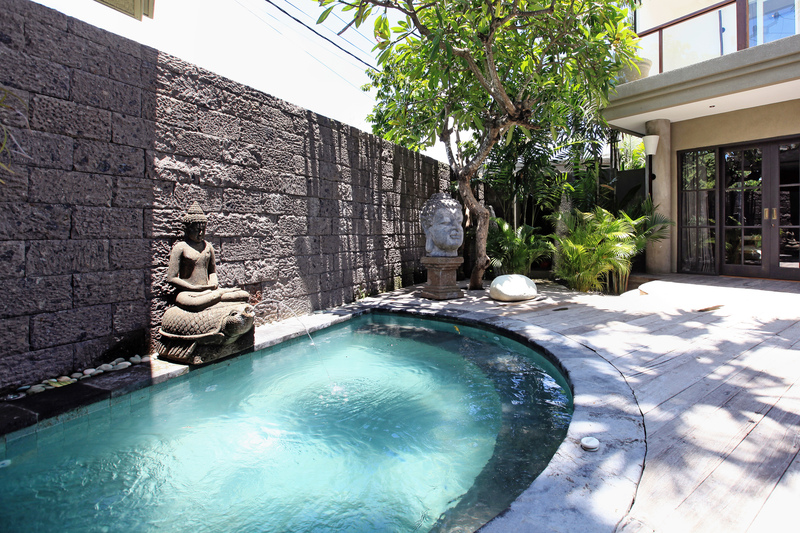 When entering this property, you will be stunned by the huge and lush garden divided in several parts with 2 (two) swimming pool and 1 (one) Jacuzzi in villa. 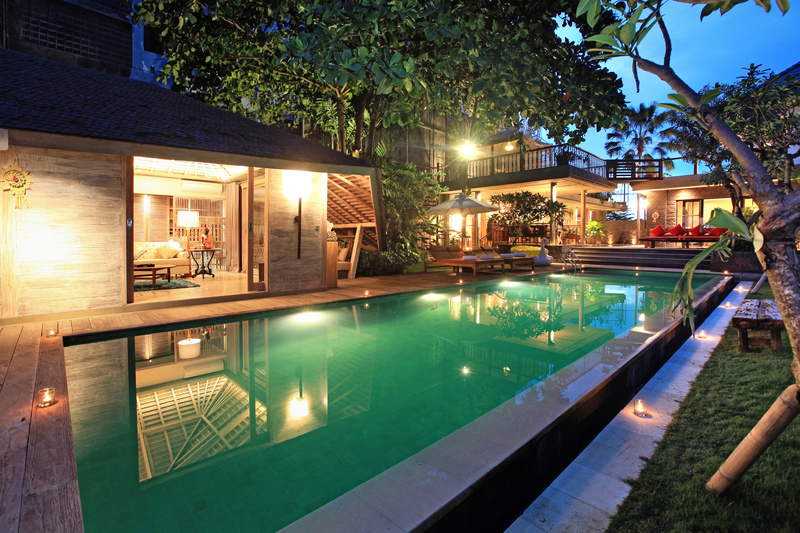 First entrance, you will find the Jacuzzi and the children swimming pool. 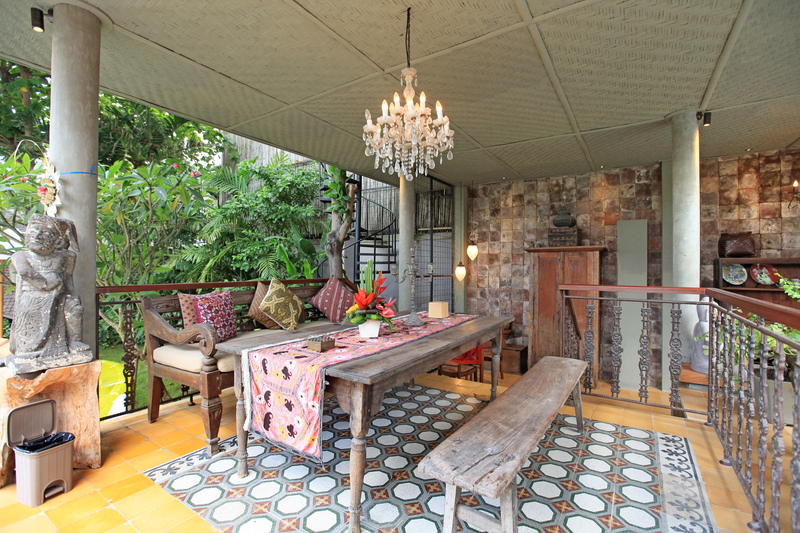 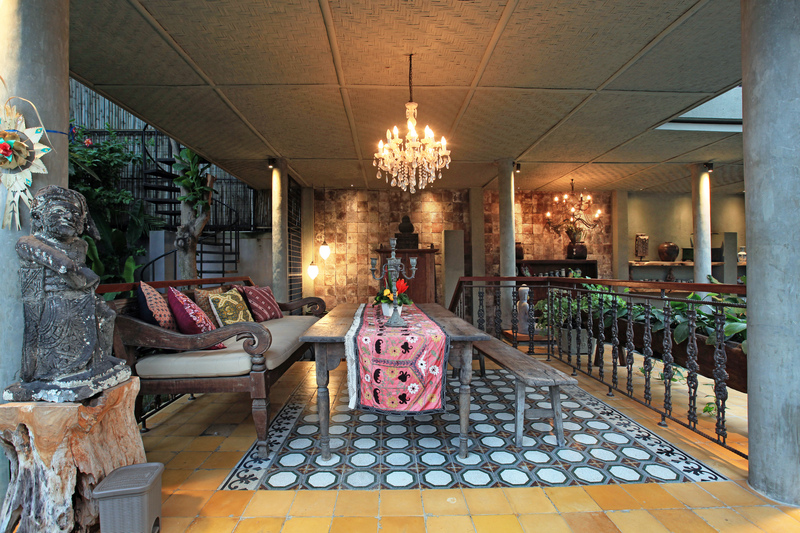 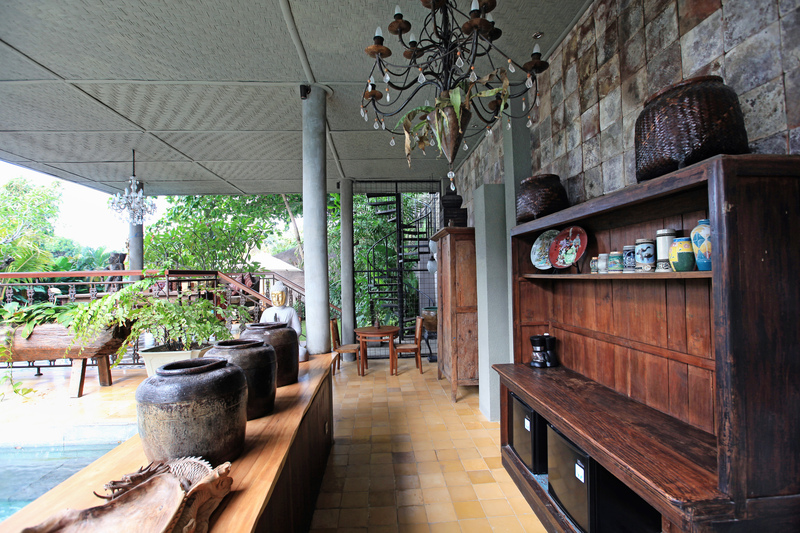 Close to it, you will find a cozy terrace where you can enjoy a drink or even dinner with you friends. 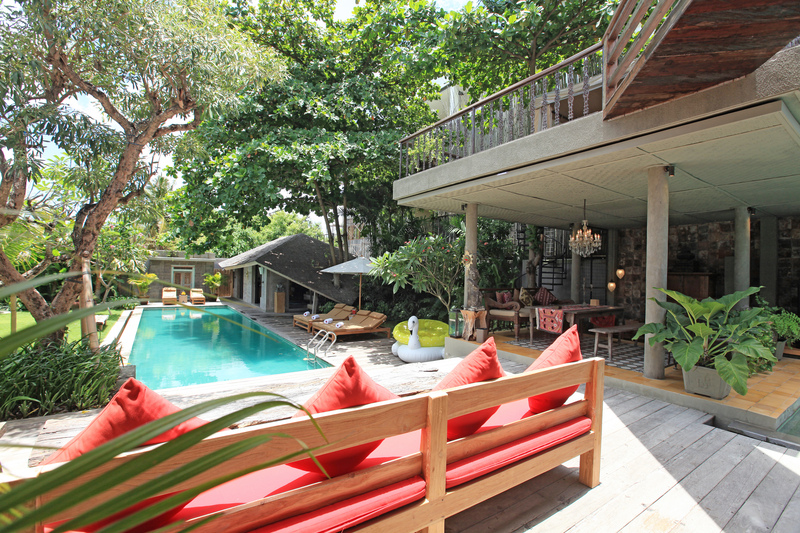 From this outdoor relax area, you will have a view on a huge swimming pool surrounded by sundecks and green garden. 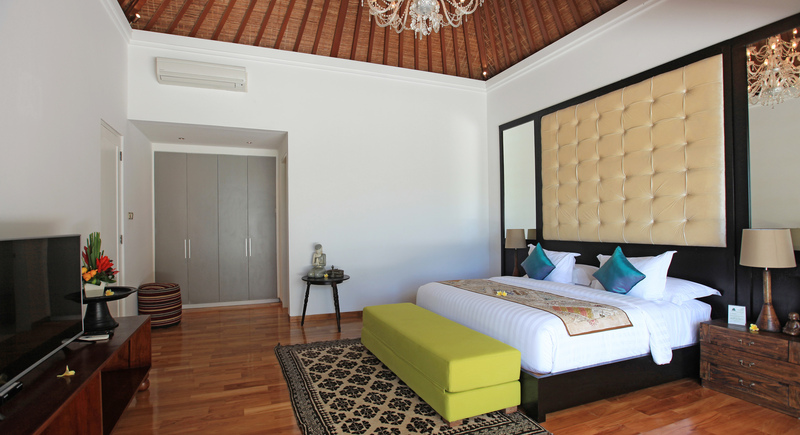 The main building has 3 A/C bedrooms, one on the first floor, the two others on the second floor. 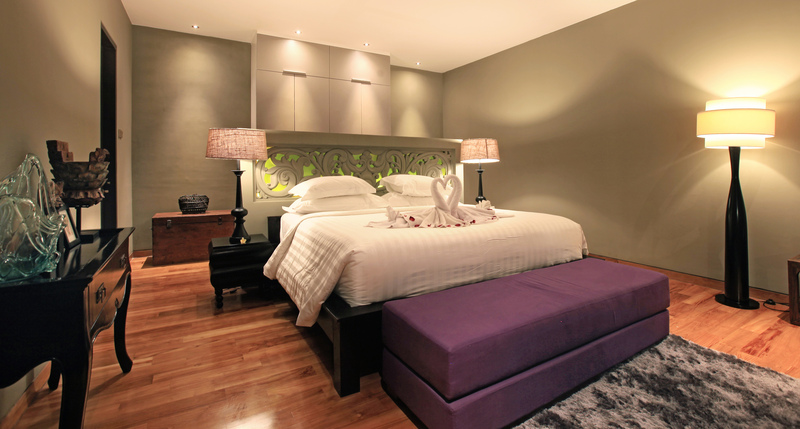 All of them are spacious, bright and offer all modern facilities such as TV with international channels. 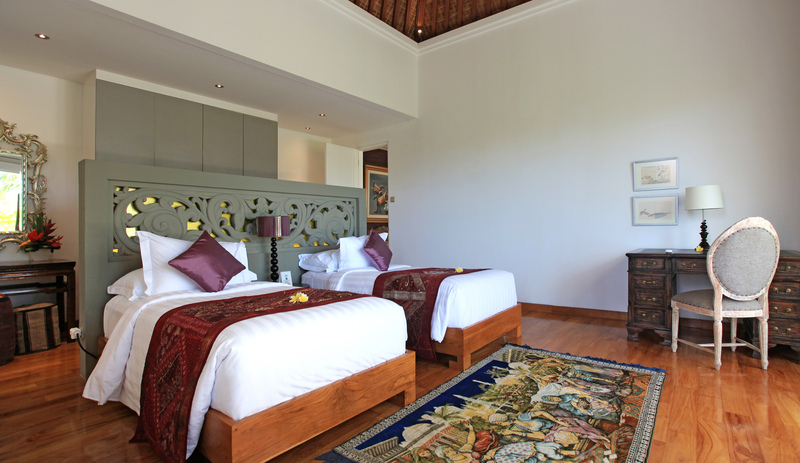 Both has king size beds, expect one of them which has twin beds. 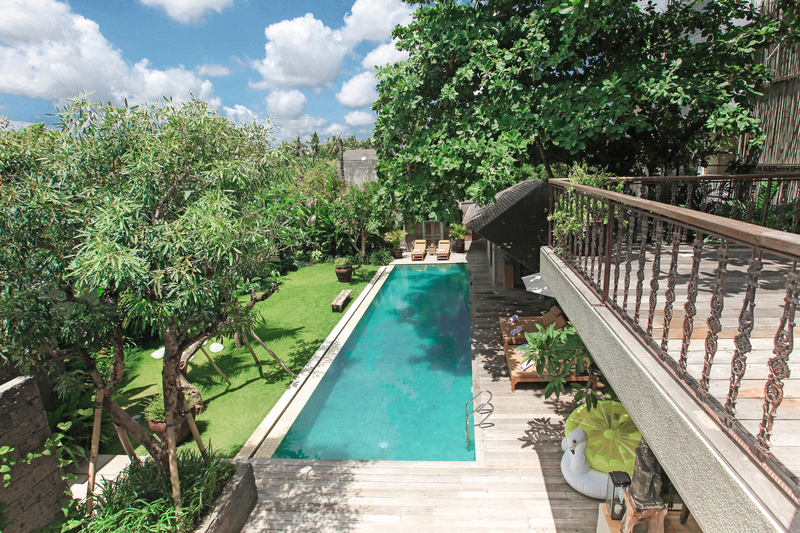 The two rooms above offer a stunning balcony, where you can enjoy a nice view on the rice field, from on side, and the pool on the other side. 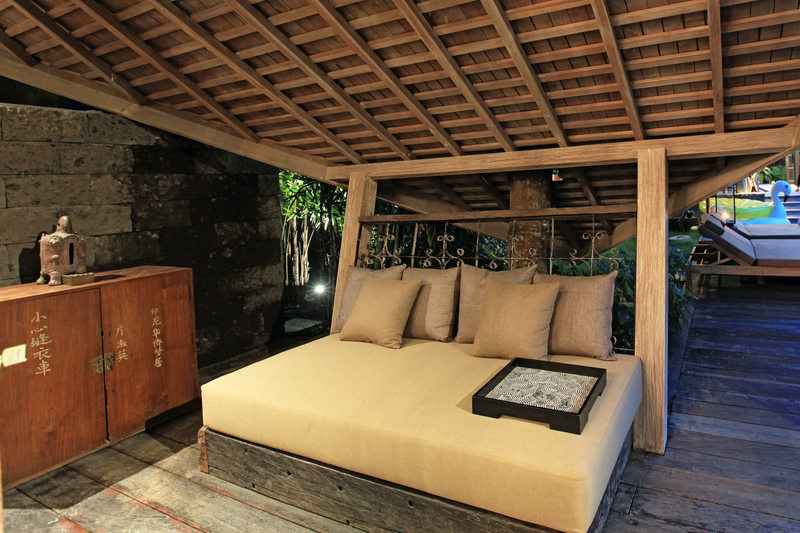 From this place, you can get a massage upon request. 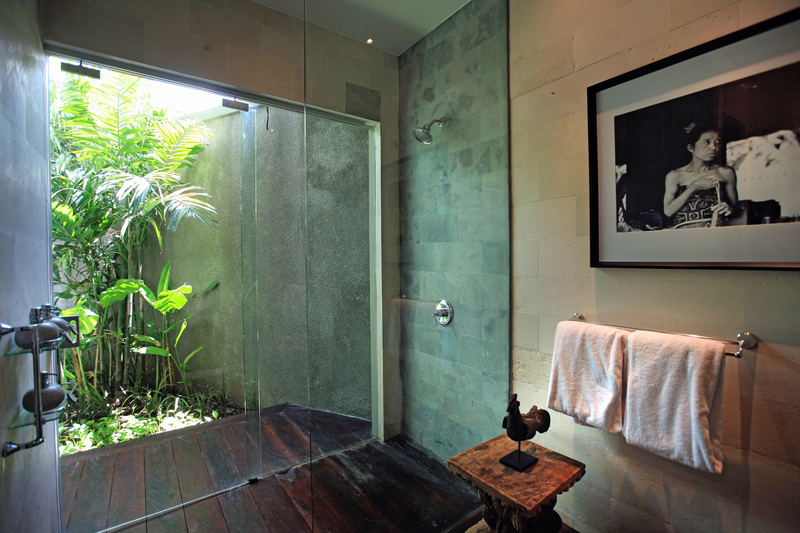 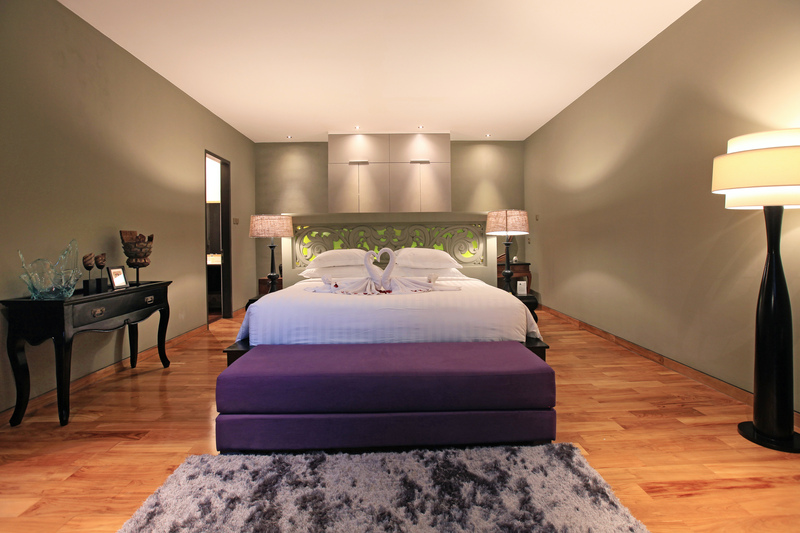 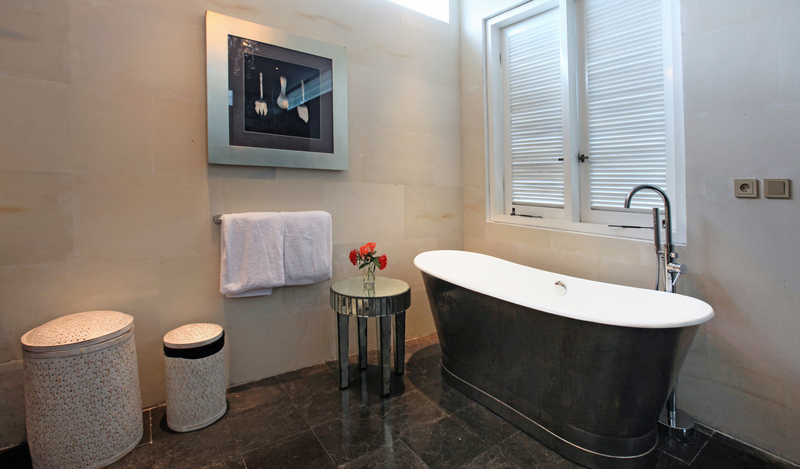 Each room features bathrooms with showers and wooden bathtub. 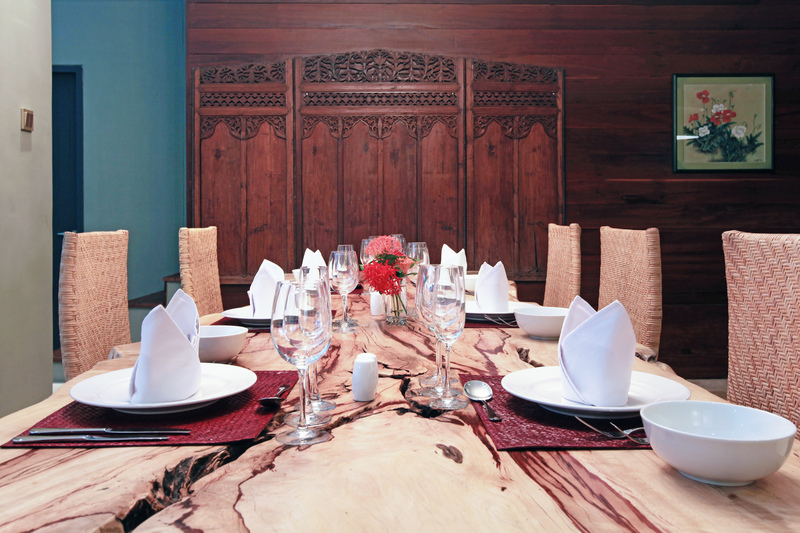 On the first floor, you will have a full equipped kitchen and a gorgeous teak wooden table where you can have lunch or dinner with your friends or family. 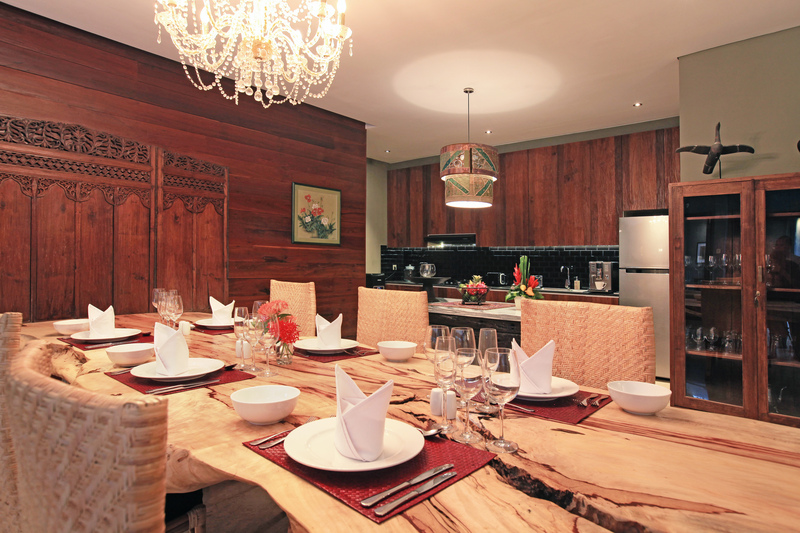 Behind the kitchen, there is a room, reserved for the staff. 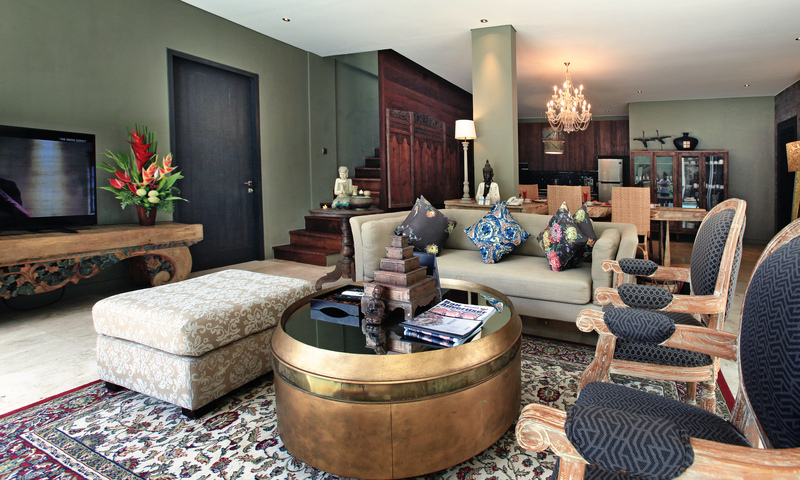 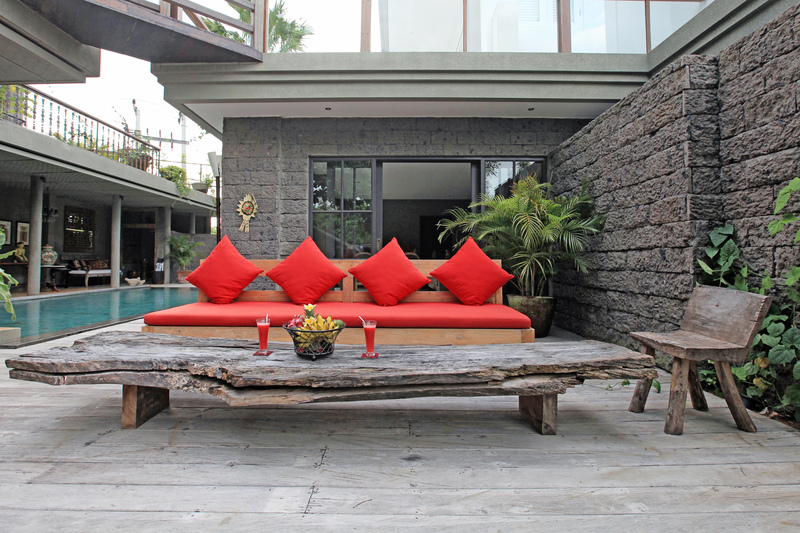 Nearby there are colorful sofas, perfect to read a book or just chill with your friends. 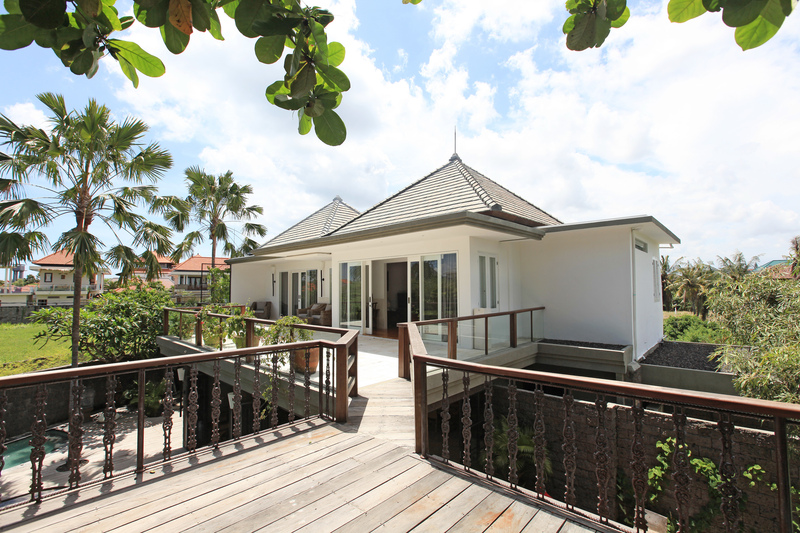 The villa owns its one generator in case of any power failure. 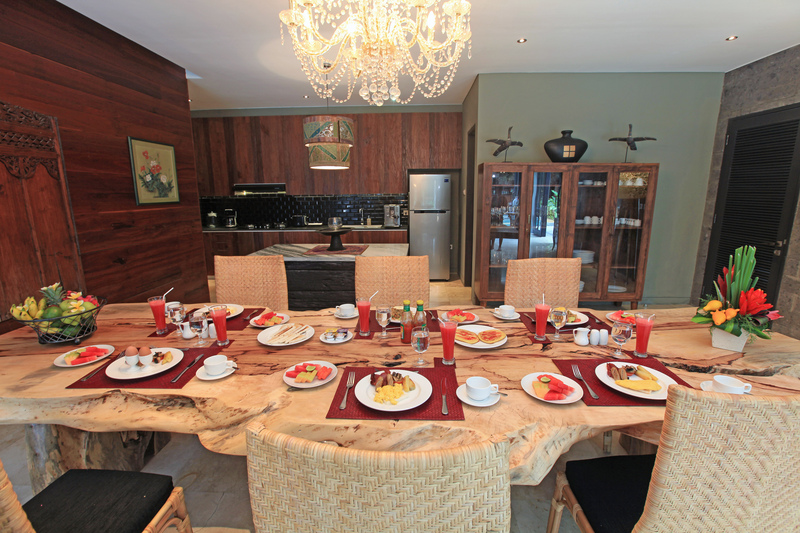 The villa is also suitable for any gathering and small events to more celebrate life. 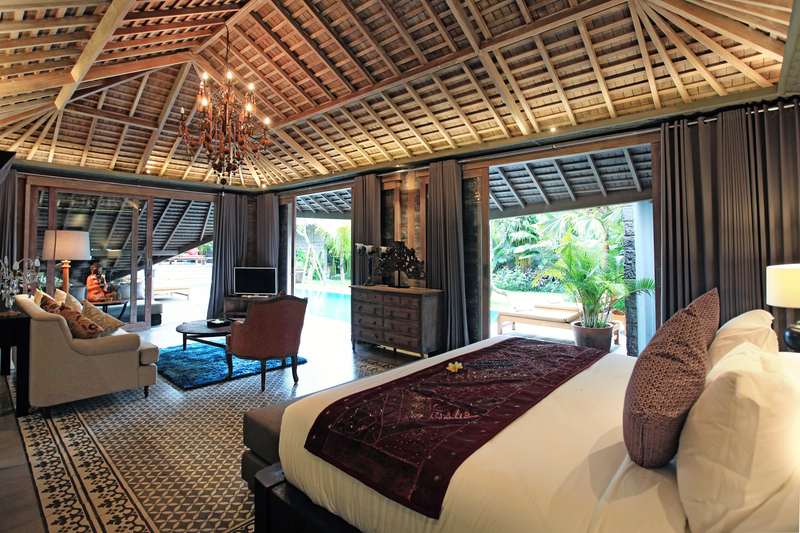 Just contact management team to further arrangement. 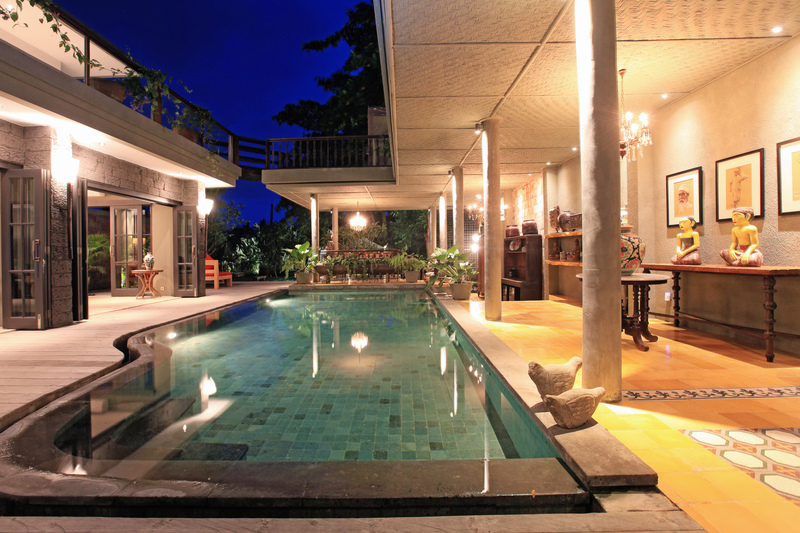 This Villa is a real art exhibition place, tastefully decorated with statue art atmosphere and unexpected artworks! 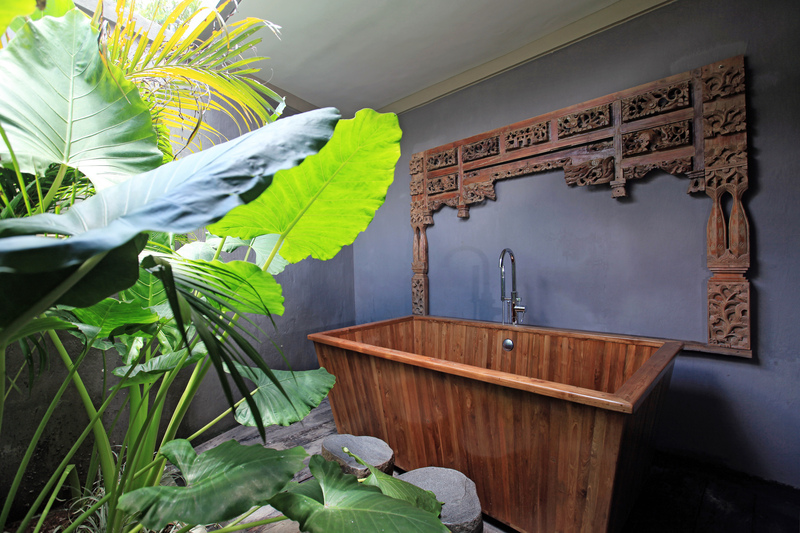 Wooden Large bathtub with hot cold water showers. 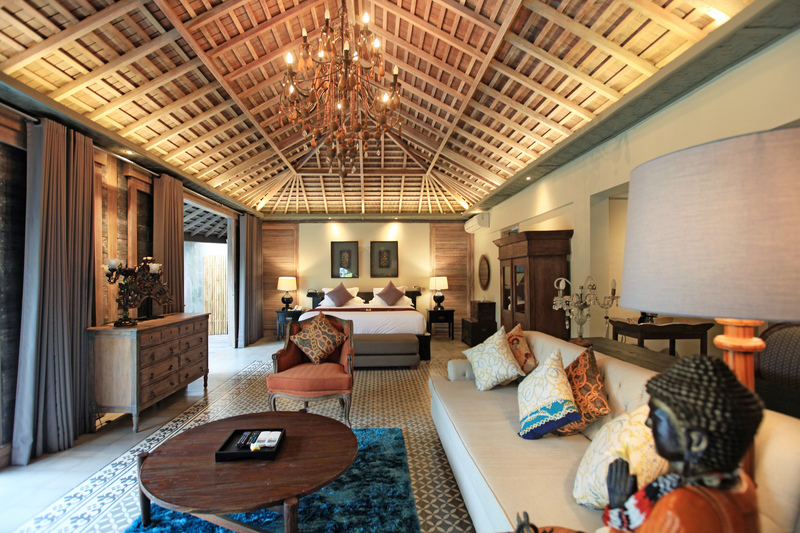 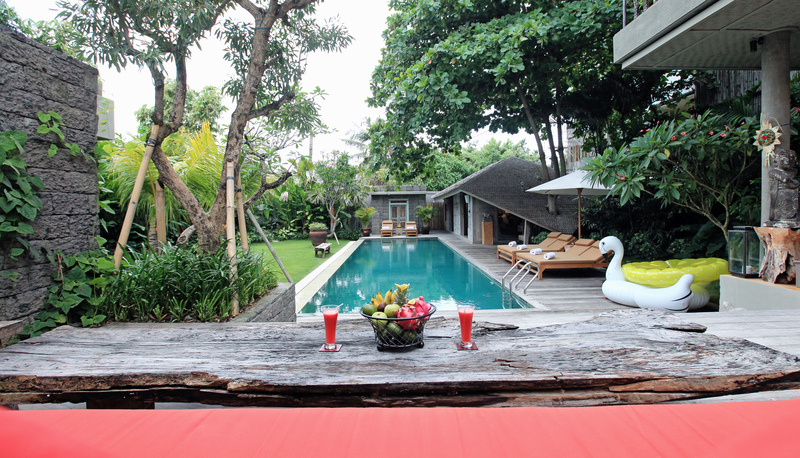 Situated near by Brawa Beach in Canggu, Jadine Bali Villa is a 30-minute drive from Ngurah Rai International Airport. 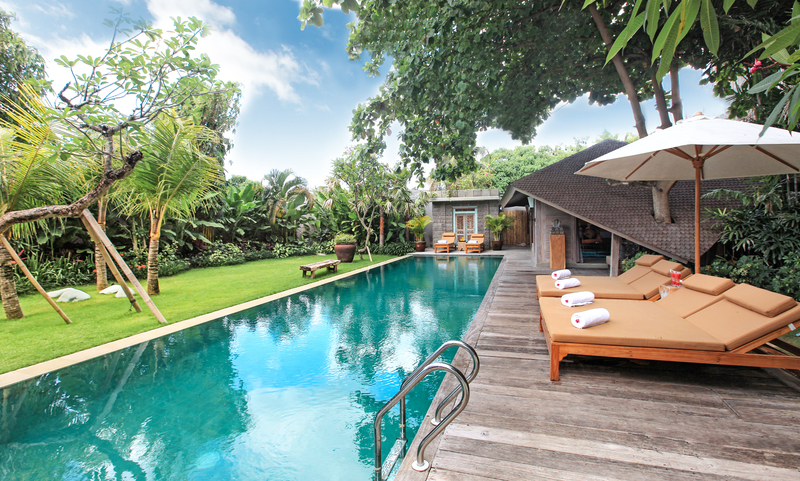 The property offers a Luxury Vintage Ethnic style, designed for traveller to experience the state of being completely at peace in mind, body and spirit, in a calm tranquility villa home where staff cannot help but pampering you with comforts. 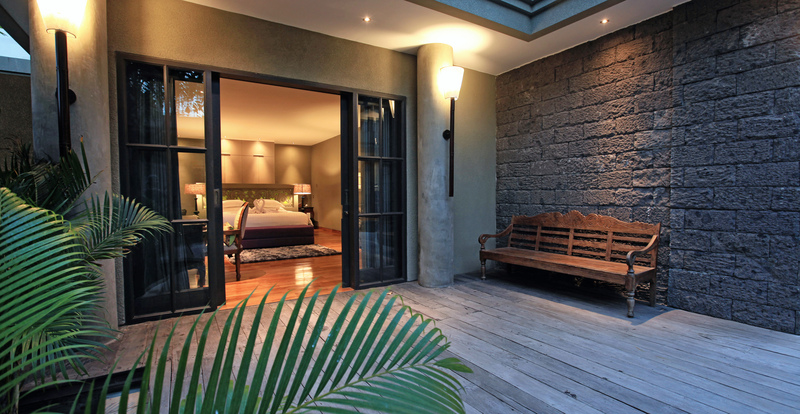 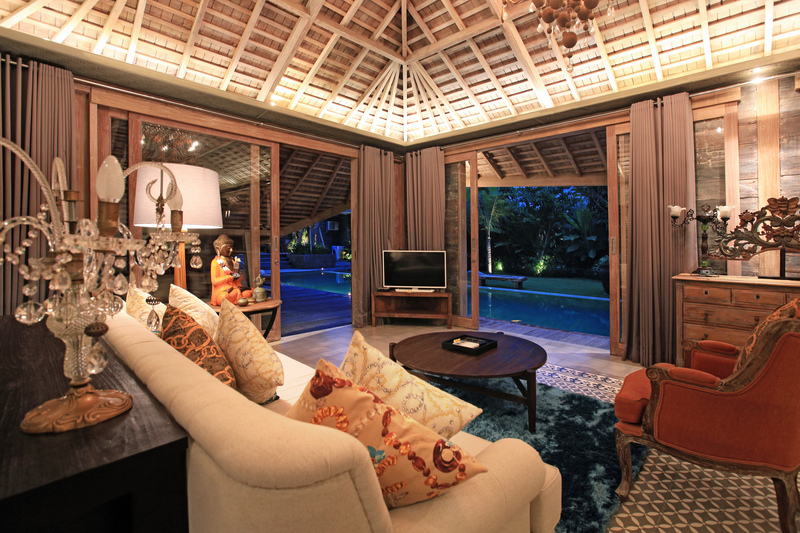 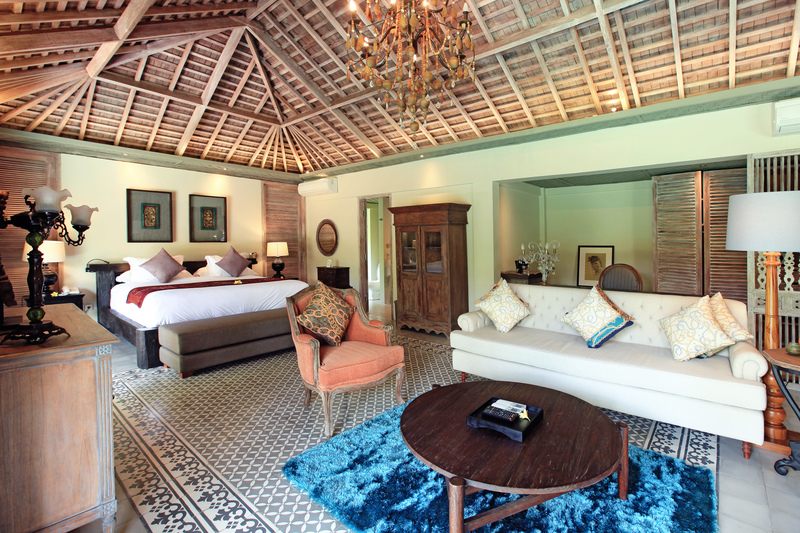 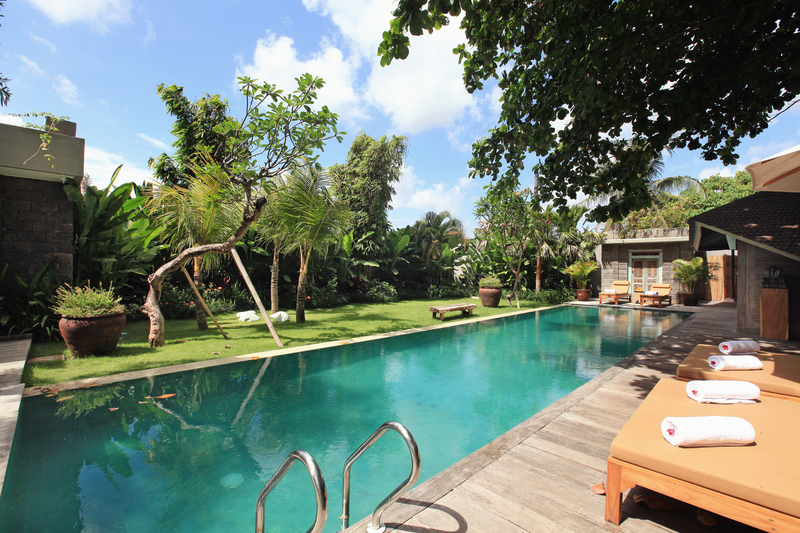 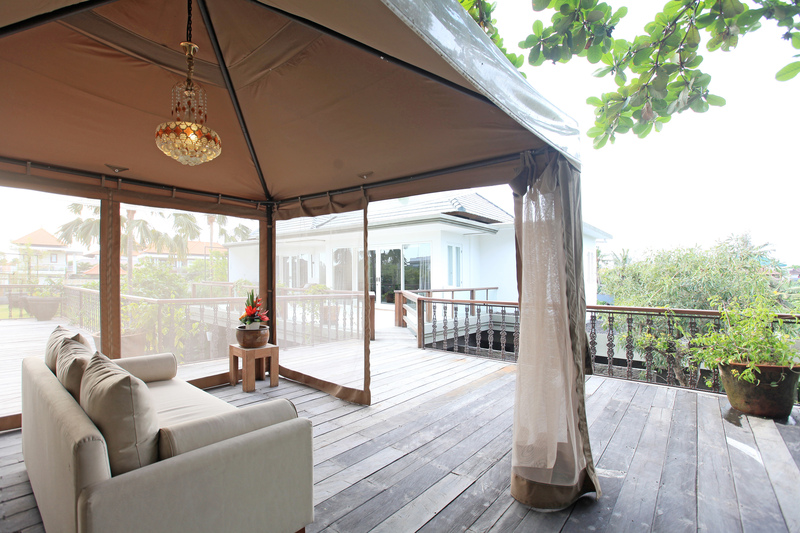 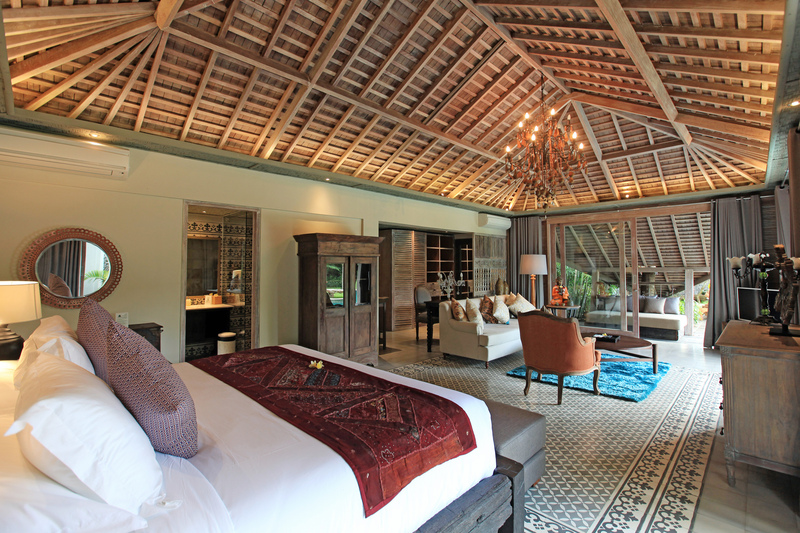 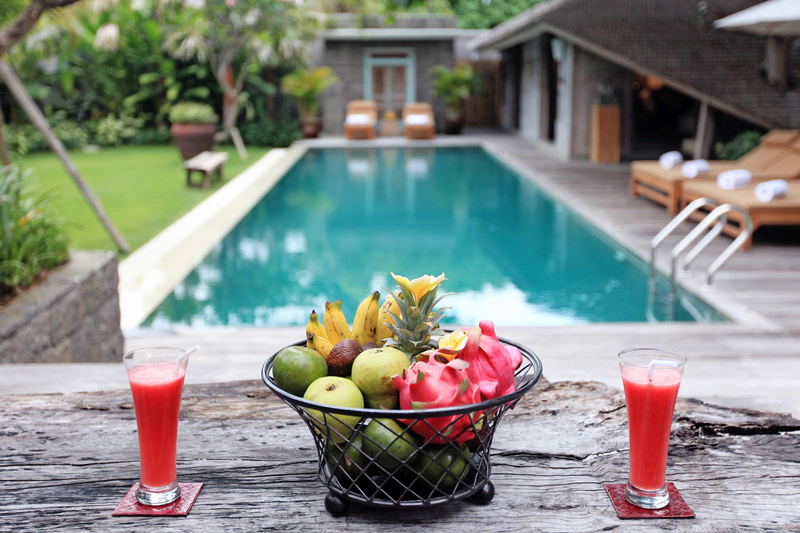 The villa is conveniently located in an ideal location to discover Seminyak and Canggu. 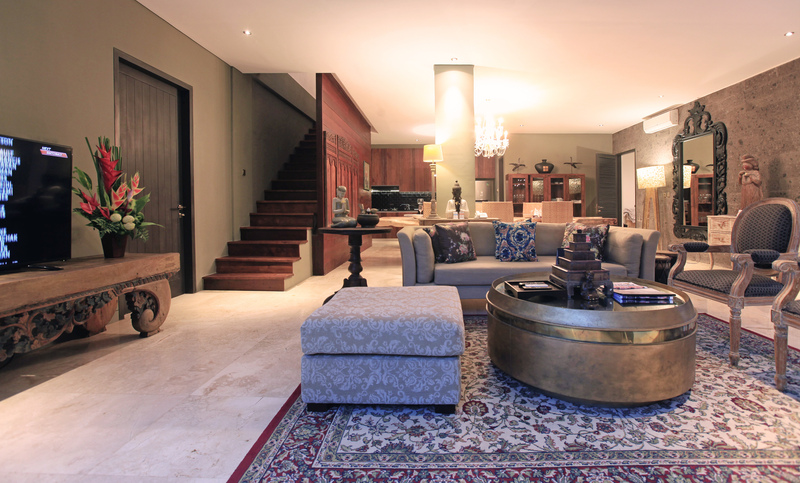 Enjoy a one of a kind experience, made for art lovers!